This tin is 9" long by 7" wide by 2" deep. 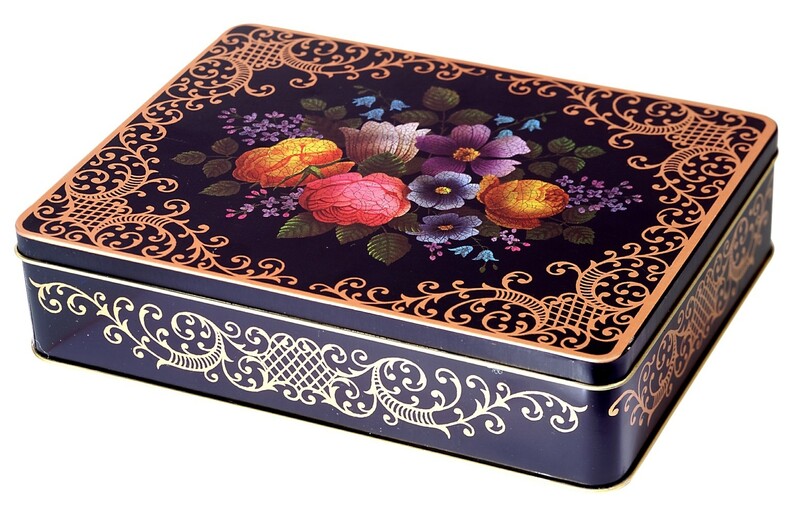 This is a very decorative lithographed tin that was made in 1979 by Metal Box Company in Carlysle, England. 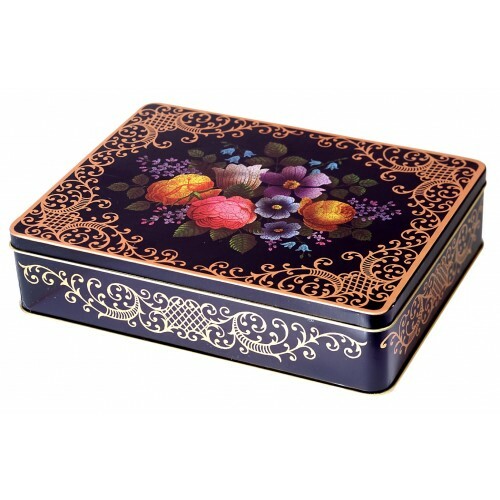 This tin is very traditional English and very collectable. It has not been made in 34 years.